Lisa is a labour and human rights strategist. She is the former Executive Director of the Australian Institute of Employment Rights, a non-government organisation that promotes the application of International Labour Standards within Australia. She advises a number of unions and community organisations on strategic directions, governance and campaigning. 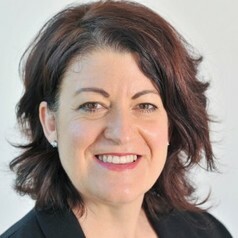 She has been engaged as a technical adviser for the International Labour Organisation, held senior positions within a variety of unions, and was the lead advocate for the landmark pay equity case before the Queensland Industrial Relations Commission that substantially raised the rates of pay for community sector workers. She is currently working within the ACU's Institute of Religion, Politics and Society focusing on its Successful Societies research stream. She is a member of the Victorian Government's Minister Council on Women's Equality. In October, 2018 Lisa was appointed by the Victorian Government to assist the tripartite Building Industry Construction Committee to develop its first Women In Construction Strategy. This strategy will tackle barriers to women's attraction, recruitment and retention in trades and trade related occupations in the Victorian construction industry.